Family Suite is the perfect choice for couples and/or families! Family Suites are the perfect choice to accommodate a family! This is the perfect choice to accommodate a family! 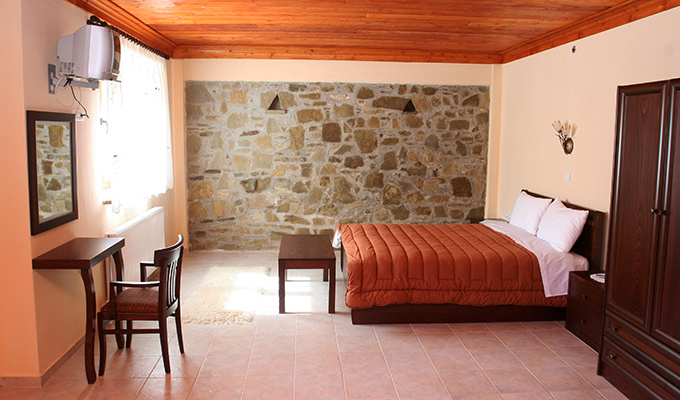 Our wonderful Family Suites are well-appointed in a traditional design with interior stone-walls. Family Suites feature a generous living room with a sofa bed, and an elegantly designed king size bed. 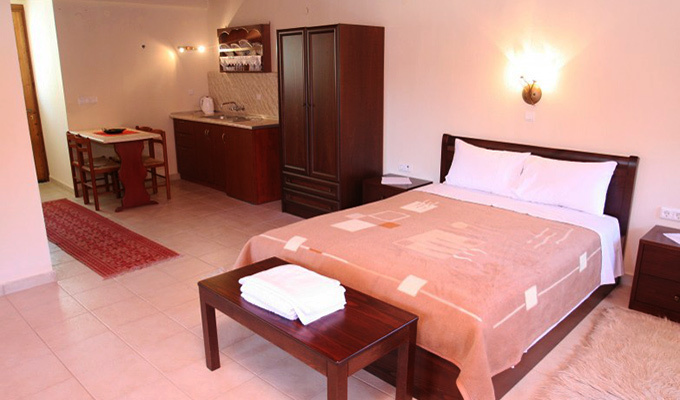 The Suites also offer a small living room with a traditional-style fireplace, a well-equipped kitchen and a large bathroom. 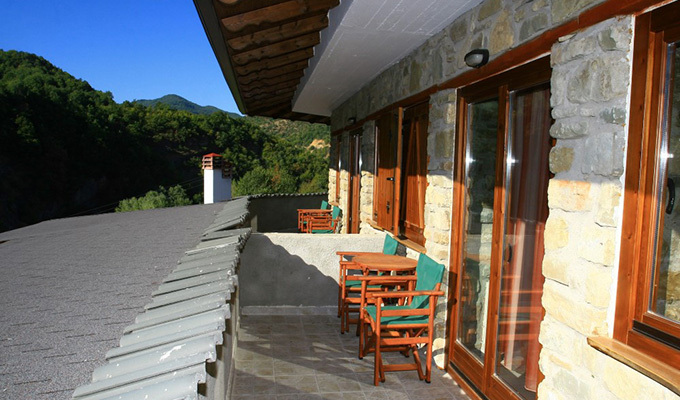 The Family Suites have boast a spacious balcony overlooking the spectacular Aliakmonas river! Our Suites can accommodate up to 4 guests and offer first class comfort and traditional luxury design. Our Family Suite is the perfect choice for couples and/or families! Cancellation and prepayment policies vary according to room type. For more information, do not hesitate to contact with us. 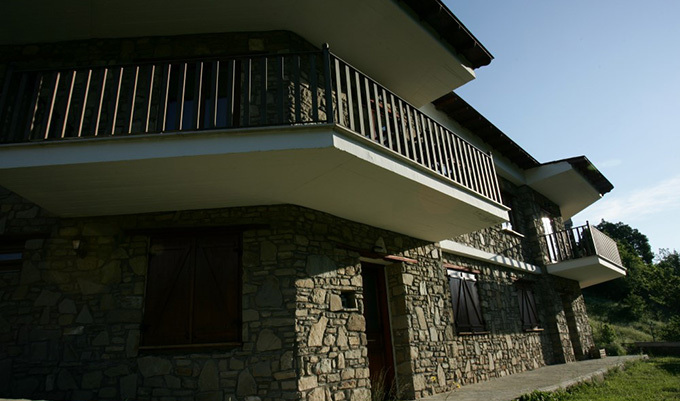 The price might change, for bookings that includes two or more rooms.